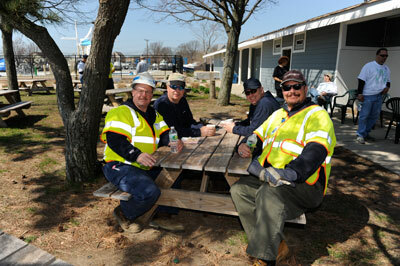 National Grid is committed to being good neighbors in the communities we serve. 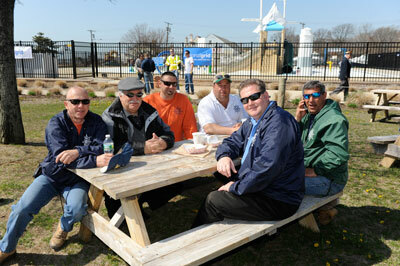 We work with local organizations and elected officials along with business, community and other leaders in Bay Shore and Brightwaters to build strong and lasting partnerships as we continue cleanup activities. 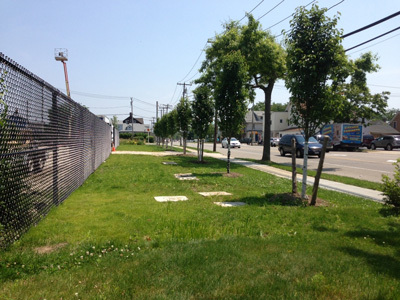 National Grid’s Bay Shore Beautification Project on Union Blvd. 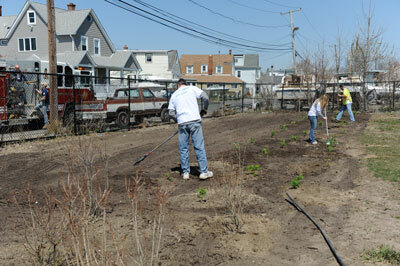 between Clinton Ave. and Fifth Ave.
April 26, 2013 was a beautiful spring day at the historic Bay Shore Marina on the South Shore of Long Island. 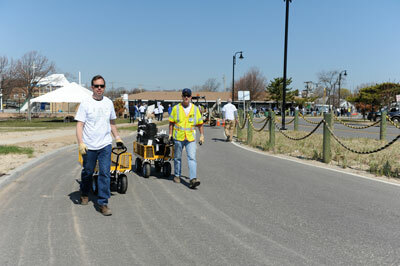 More than 100 National Grid employee volunteers were on hand to clean up and beautify the Marina as part of National Grid’s Earth Day activities. 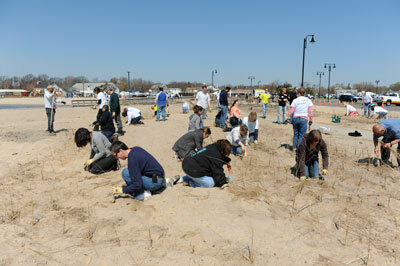 Employees planted American beach grass, Stella D'oro Daylilies, Rosa Rugosa, among other types of plants. 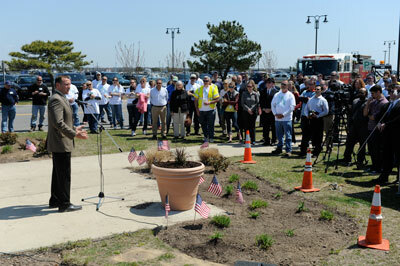 In addition, they worked together with local veterans’ organizations, beautification groups and the Bay Shore Fire Department. 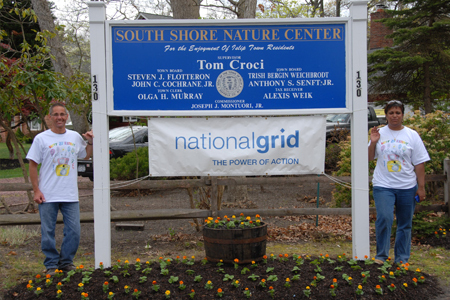 On April 20, National Grid hosted Earth Day employee volunteer events at Seatuck Environmental Association and the South Shore Nature Center located in Islip. 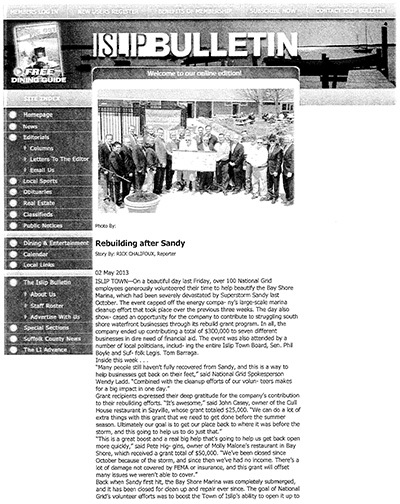 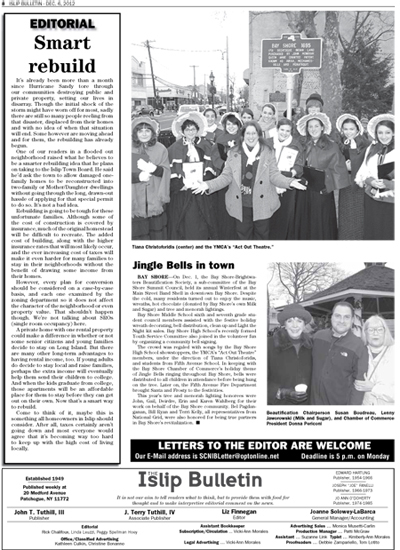 The Seatuck Environmental Association is a not-for-profit, member supported organization dedicated to promoting the conservation of Long Island’s wildlife and environment, through education, research and advocacy. 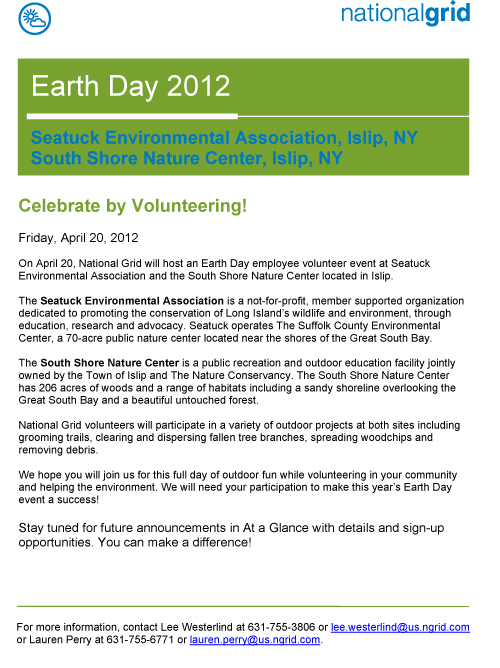 Seatuck operates The Suffolk County Environmental Center, a 70-acre public nature center located near the shores of the Great South Bay. 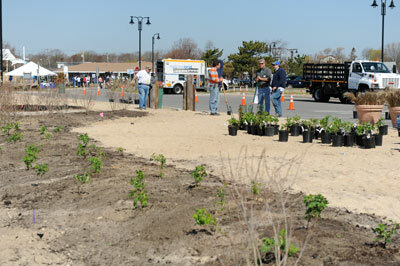 The South Shore Nature Center is a public recreation and outdoor education facility jointly owned by the Town of Islip and The Nature Conservancy. 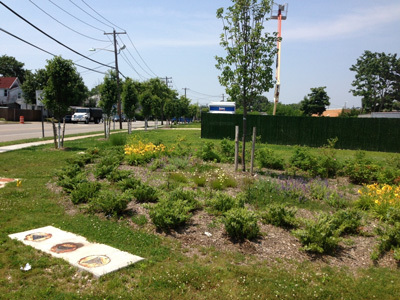 The South Shore Nature Center has 206 acres of woods and a range of habitats including a sandy shoreline overlooking the Great South Bay and a beautiful untouched forest. 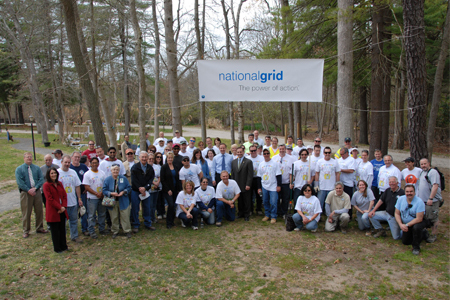 National Grid volunteers participated in a variety of outdoor projects at both sites including grooming trails, clearing and dispersing fallen tree branches, spreading woodchips and removing debris. 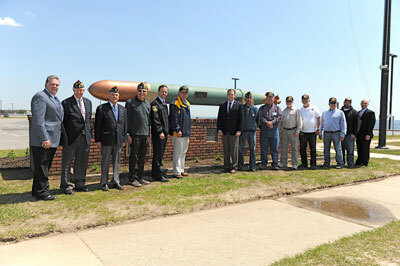 Photographs from the events are below. 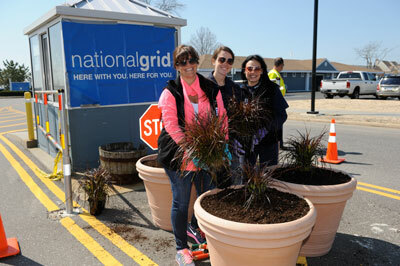 Read more about National Grid's commitment to community involvement.